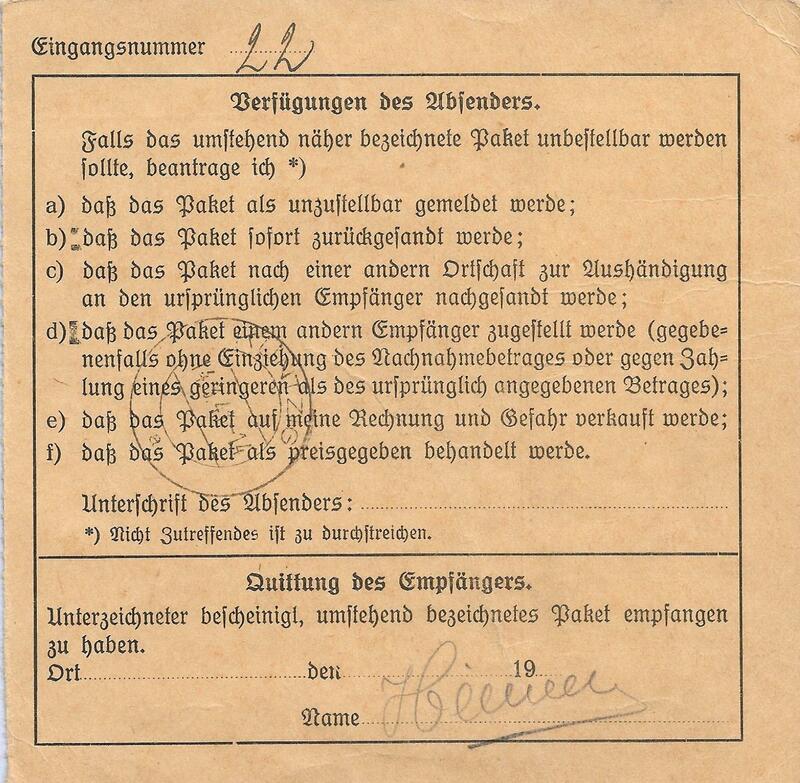 Parcel cards (Post-Paketkarte) used in Luxembourg during the WW2 German occupation provide a fertile field for specialization and research. 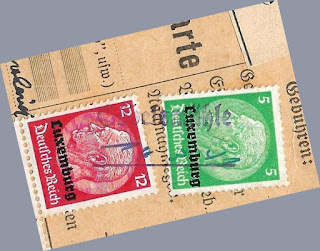 Sadly, little has been written about these cards, inviting their study by collectors who are bored by the many philatelic creations that pass for the country's WW2 postal history. 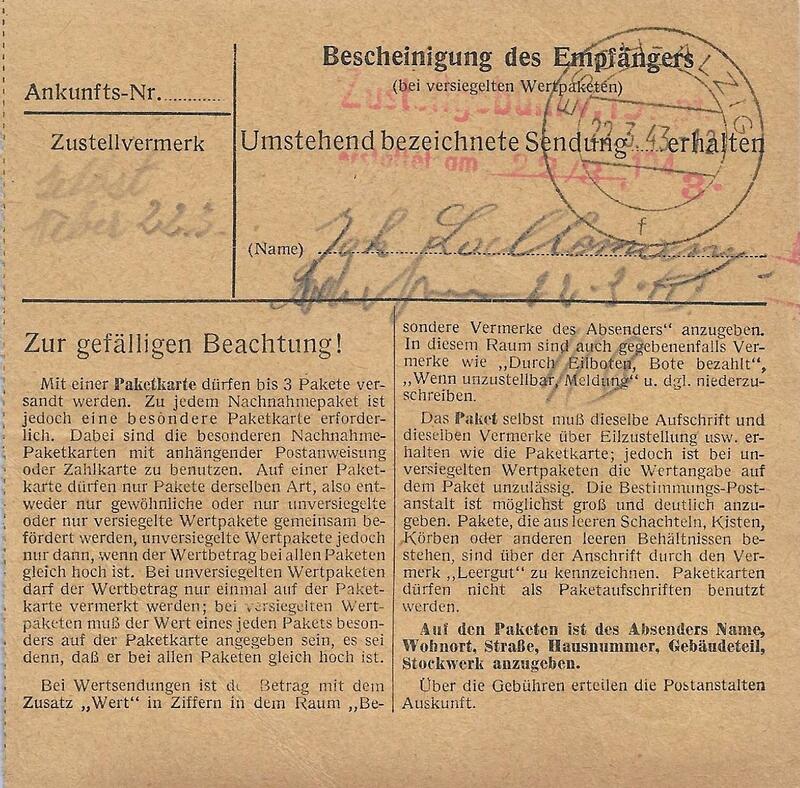 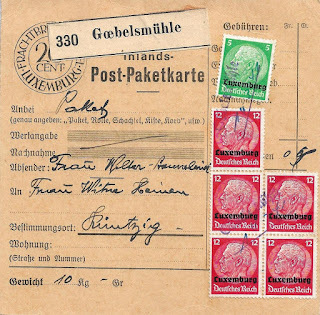 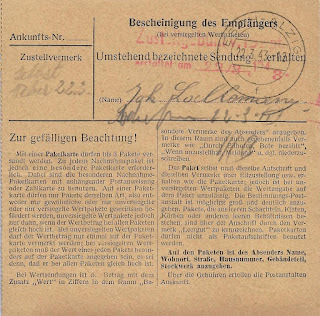 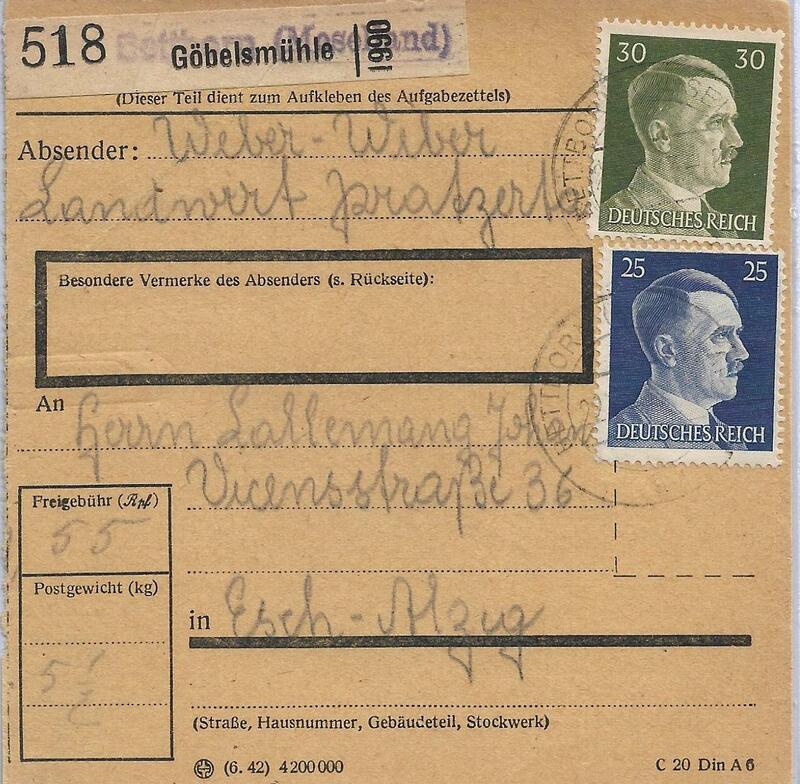 If you collect these parcel cards, you'll quickly appreciate their postal history significance as they exhibit unusual rates, special auxiliary labels, unusual occupation frankings, COD and money letter services, the Germanized occupation cancels and much more. 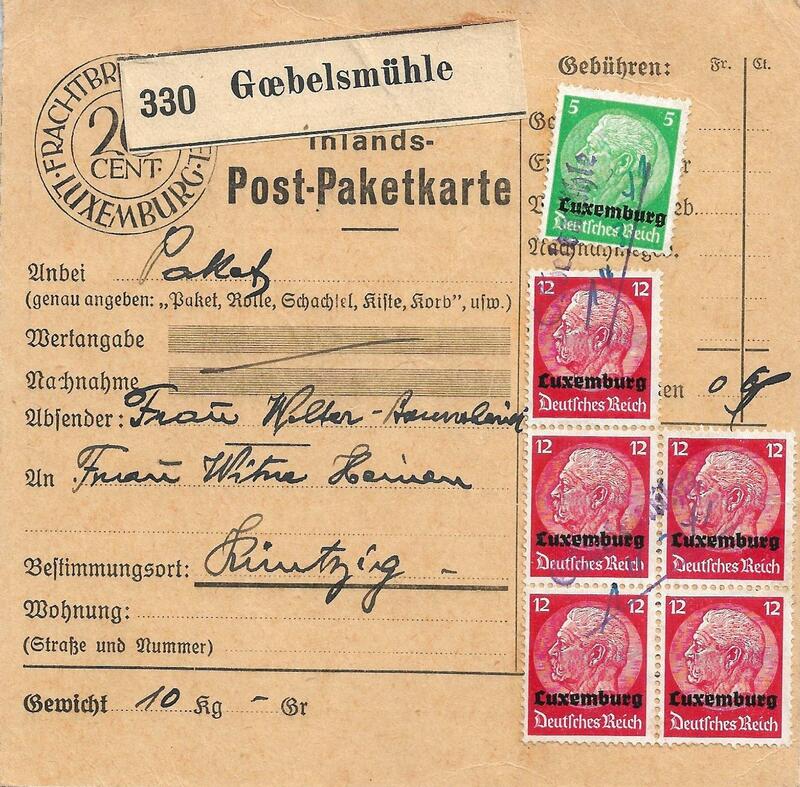 Consider for example picturesque Gœbelsmühle in the Bourscheid commune--today with a population of just 17 and a beautiful old railway station on the CFL line. 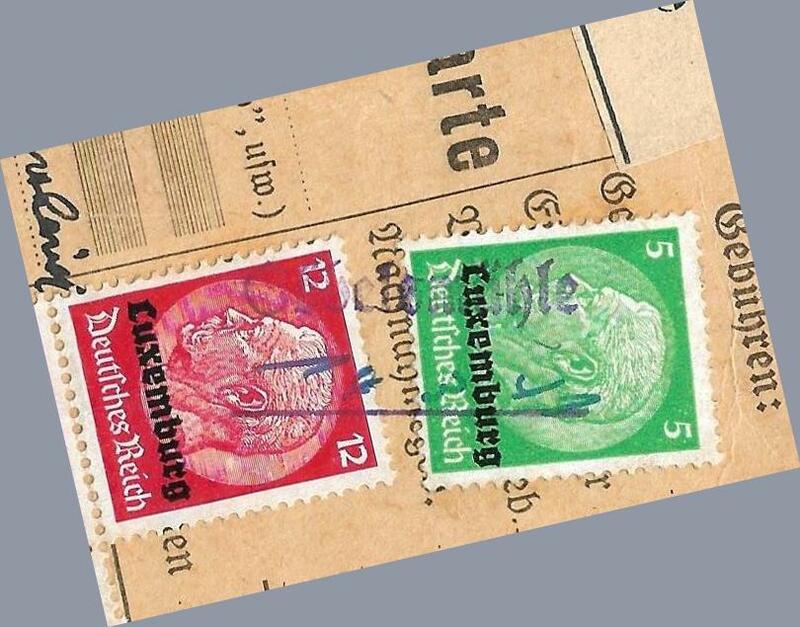 Yet its postal history dates back at least to 1905, when the village was issued a double-circle cancel. 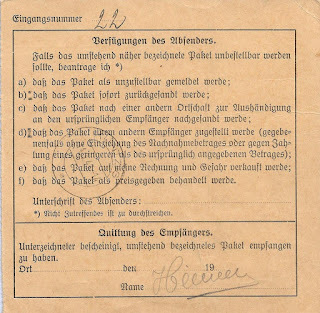 10 kg Zone 1 ~65 km = 65 Rpf. 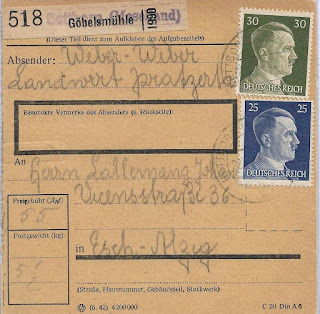 Paul-Jürgen Hueske, Der Paketdienst im Deutschen Reich 1933-1945 (Infla Bücherei 47, 2001).